Good post about an excellent novel! Simplicissimus (along with the sequels, especially The Tale of Courage, The Notorious Thief, Whore and Vagabond) may be my favourite book of all time, and it made an impression on me all right. It dares to be a funny book about a great tragedy, and it is full of life, wisdom and wit. Great stuff and really one of the major adventure novels. Since the time I found it some fifteen years ago, I have read more picaresque stories from the period, of which I would recommend LeSage's Gil Blas the most, which is another page-turner. It is crammed so full of good stuff that I typically only read a few stories at a time – there are more plot twists in the first twenty pages than entire novels. WRT adapting Simplicissimus to gaming, it fits Warhammer well in theory, but I never had luck with it. 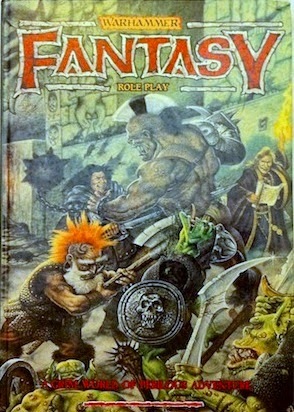 Something about WFRP always derailed my attempts to run a campaign with a similar tone, no matter how good a fit it seemed first. Sometimes it was the Old World that intruded, and sometimes it was the rules that didn't work out. It proved completely elusive. 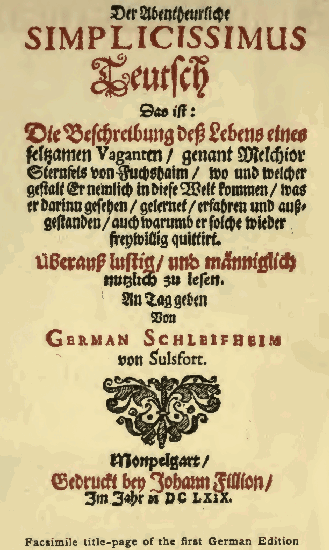 Over the years, this annoyed me so much I wrote and published a separate game that draws specifically from picaresque stories (and a little bit from Moorcock's War Hound), local legends, swashbuckling movies and the whole milieu of 16th century Central Europe. This became the Helvéczia boxed set, which I still have hopes of publishing in English one of these days – I have the rulebooks translated but need to do more work on the modules and supplements. I need to look into those other books. You may also wish to check out the Spanish picaresque tradition – that's where it all started with Lazarillo de Tormes, and where the genre first flowered (Don Quijote is obviously the most famous of them). These are the precursors to most of the pulp fantasy stories we read and enjoy – and many of them hold up rather well. … BRB, writing Sorcerors & Sodomites!